MANILA, Philippines - We all know that AlDub is a social phenomenon which sprung from Eat Bulaga's 'Kalyeserye.' But, why did Filipinos love Aldub - the tandem of Alden Richards and Maine Mendoza? The awarded entrepreneur and bestselling author Carl Balita shared what he think about the phenomenon and the lessons learned from their successful team up. Balita's Facebook post went viral giving new meaning for ALDUB. A-uthentic - not trying-hard to act differently. Raw and real! L-oaded with love, romance, struggles and victory. D-wells on positive Filipino values - walang nilalait at naooffend. U-nscripted and very spontaneous.Very natural. Balita also gave his opinion why Pinoys love the hit loveteam of Eat Bulaga. "Because it reflected their simplicity...authenticity...reality! Because Filipinos are hopeless romantics! Optimistic that beyond struggles is victory!," Balita said. On the lessons learned from the tandem: "The lessons of ALDUB may apply to life, relationship, teams, organizations and even business. Be authentic! Live for love! Dwell on the positive values! Be natural and spontaneous! BE POSITIVE!!!!" 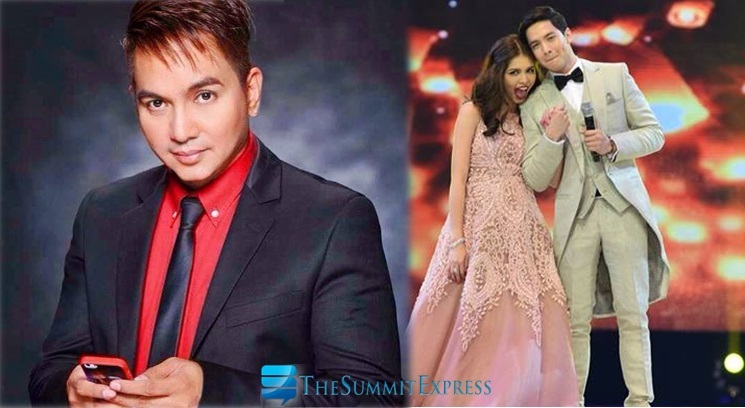 The entrePinoy guru also lauded the two fast-rising stars and the 'lolas' of Kalyeserye during the 'Tamang Panahon' concert event at the Philippine Arena on Saturday, October 24. "Alden does not sing well to impress but sings with the heart. Maine does not speak well but speaks her soul through her acts. When Alden cries, he shows strength. When Maine dubmash she cares not for her looks. She makes herself funny not make fun of anyone else. They don't dance impressively but gracefully like anybody can," Balita commented. "Both simply showed the public who they are - and they are loved for that simplicity," Balita added. "The Lolas impressively spiced up the production without scripts to read but core values to keep! Impressively INTELLIGENT and CONSISTENT. Providing comic relief without the usual antics of slapsticks and degrading remarks. Strict but meaningful and purposeful," he commented. Balita also encouraged the netizens and all fans of Aldub to unite for change. "As ALDUB unites us in patronage, fanaticism or simply curiosity, MAY WE UNITE FOR CHANGE...FOR THE POSITIVE...AND FOR LOVE!!!! After all this admiration for the phenomenon, it is not about being Kapamilya or Kapuso that matters. It is about being uniquely FILIPINO.... This too will pass..like many phenomenal social events. They may be forgotten. But let the lessons remain...," Balita ended.